Italian born and New Zealand bred, Chloe Loftus has worked internationally as a freelance dancer and choreographer for over a decade. 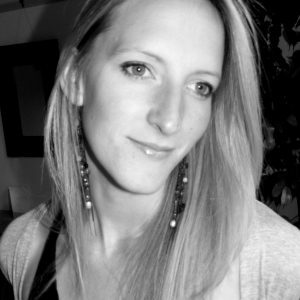 Her company, Chloe Loftus Dance, formed in 2005 and on moving to Cardiff in 2006, won Welsh Independent Dance’s ‘Dance Bytes’. The company went on to gain Arts Council of Wales, PRSF, Articulture, Wales Arts International and Kevin Spacey Foundation funding to create and tour work nationally alongside numerous other commissions in both professional and community environments. Alongside her international work as a performer, Chloe also has extensive teaching experience including school and university choreographic residencies with Middlesex and Bath Spa Universities and Royal Welsh College of Music and Drama. Chloe Loftus Dance creates exciting choreographic work that engages the public eye through vibrant contact work, athleticism, humour and evocativeness. She specializes in outdoor work including aerial work, collaborating on large-scale productions such as ‘Ar Waith, Ar Daith’, ‘City of the Unexpected’ and Olympic events as Mass Movement Director. Chloe is Associate Artist / Dance Buddy at the Wales Millennium Centre and in 2013 was shortlisted for a Theatre Critics of Wales Award for Best Small Scale Dance Production.